"When we have a loving and compassionate attitude towards plants and trees, we can learn to listen and understand them." 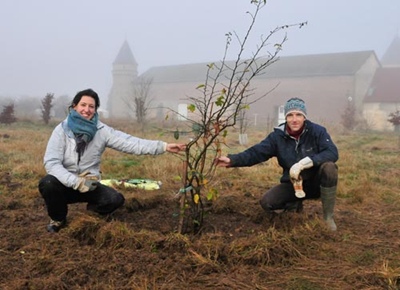 GreenFriends is an international, volunteer-based movement that promotes environmental awareness and participation at the individual and community levels. GreenFriends' goal is to promote environmental awareness by inspiring people to serve and protect Nature. 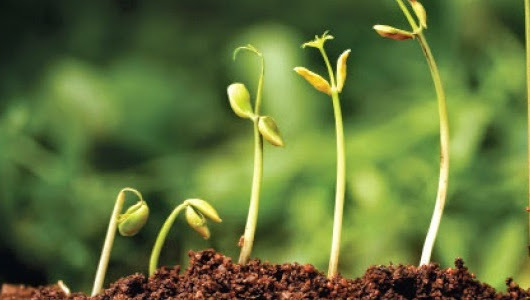 GreenFriends started in India in 2001 as a project of Embracing the World and has since spread across the globe, with thousands of members today throughout the United States, Europe, Australia and Asia. The mission of GreenFriends is to create a loving bond between humanity and Nature and to promote conservation through constructive action. Any service-oriented activity to protect and promote awareness and conservation of Nature can be considered a GreenFriends activity. "Look at Nature. Nature is a text book from which we must learn. Each object in it is a page from that book. Each and every object in Nature teaches us something. Renunciation and selflessness are the greatest lessons we can learn from Nature. Nature sacrifices Herself for humans; whereas, we not only exploit Her, but destroy Her. Yet Nature serves us. The earth is serving us; the sun, moon and stars serve us. What to we do in return for their selfless service? Nothing except harm. May all beings and life-forms live and thrive in harmony upon the Earth! For information on GreenFriends activities in your area, click on the Friends of GreenFriends link at the top of the page. In honor of Amma's 65th birthday, an offering is being made to Amma of a gift of trees to be planted planted all over North America. 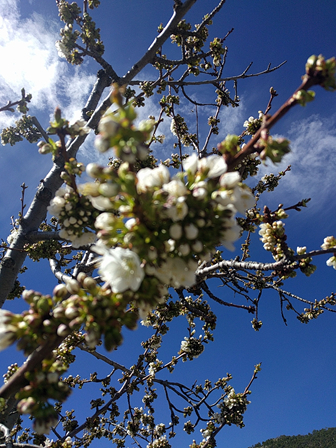 Fall is a good time to plant trees in most areas. In coming weeks we will send out some basic information on how to plant trees, and where you can plant them, if you don’t own property or don’t have room. In recent times, hundreds of thousands of North American trees have been lost in devastating forest fires, floods, tornadoes and hurricanes. Let's do what we can. 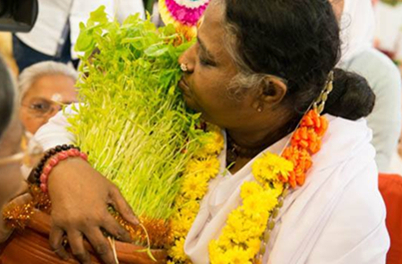 Amma has asked that we begin to concentrate our efforts of sustainable living on SOURCE REDUCTION. This means stopping waste before it begins. Instead of recycling plastics and other throw-away products that need to be processed for reconfiguration into another form, we need to start using products that are designed to last, or find an alternative way of living that eliminates the need for the product altogether. You can now download an inspiring PDF introducing the Source Reduction Campaign. 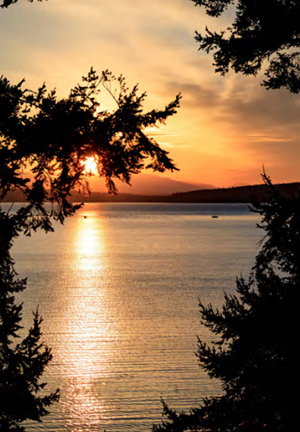 Download the April 2019 GreenFriends Pacific Northwest newsletter! Diya Heal is an ocean-loving, tree-hugging dirt worshipper. 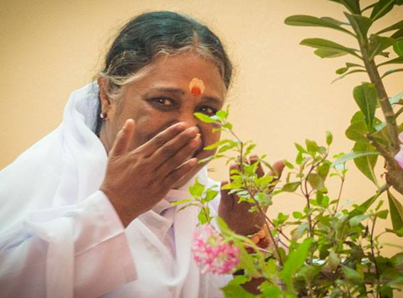 She is also the new 'green coordinator' for Amma's US tour. 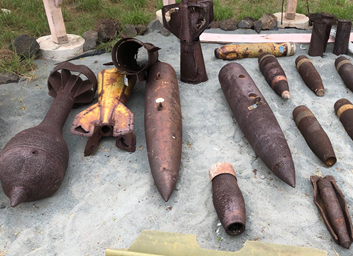 14 year-old Ella Laird of Hawaii, along with 15 of her friends, planted more that 2200 trees and plants of a deserted Hawaiian island that was formerly used for military target practice. The Amma Center of New Mexico at 7600 feet in elevation is blessed with 600 sq ft of ornamental gardens, an orchard of 40 fruit trees, more than 700 sq ft of outdoor raised beds, 640 sq ft greenhouse and a labyrinth. GreenFriends and Embracing the World were represented at the 2018 Parliament of World Religions in Toronto, November 2 - 7, 2018. Green Friends was invited to host a booth as part of the Interfaith Family Festival (IFF). The IFF had the theme of “Plant an Interfaith Garden” and featured five days of "joyful, engaging, and experiential spiritual exploration for kids, teens, families, schools, and faith groups." Each booth in the Interfaith Family Festival had a theme and an activity focused on children. 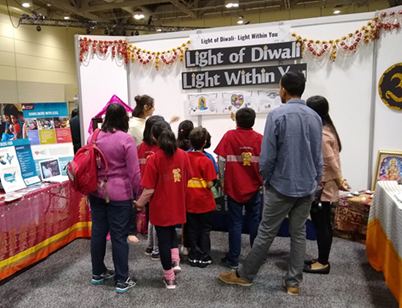 The GreenFriends/Embracing the World booth had the theme titled, "The Light of Diwali - The Light Within You". When Jones Middle School couldn’t find a recycler for their plastic bags, their teacher did an Internet search on recycling and reusing plastic bags and ended up at the Green Friends North America Plastic Challenge web page. 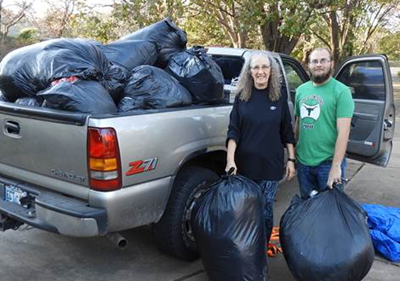 The Middle School contacted the GreenFriendsNA.org website to find out if they could donate their plastic bags. A day later the greenhouse at Turtle Barn Farm was full from floor to ceiling with 17,000 plastic bags that volunteers can use to create sleeping mats for the homeless. 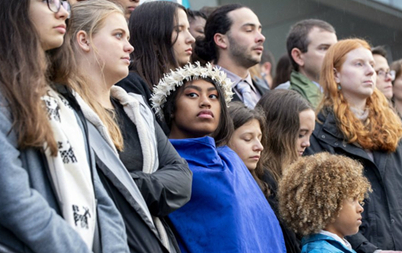 On Nov. 2, 2018, the US Supreme Court refused to dismiss Juliana v United States, also known as the Children’s Climate lawsuit. The suit argues that the US government undertook policies that contributed to climate change, thereby causing irreparable harm to young people and denying them a safe climate. Specifically, it claims the federal government encouraged the production of oil, gas and other fossil fuels, causing the planet to warm and infringing on several of the plaintiffs' fundamental rights. It lists examples that the government knew the Earth was warming as early as 1965, and it requests a court order for the government to decrease carbon dioxide emissions as well as the creation of a national plan to "restore Earth's energy balance and "stabilize the climate system. The Pacific Northwest region has been very active in planting trees for Amma’s 65th birthday project. Devotees from that region had pledged to plant 228 trees but, as of December 15, 2018, they had planted 908! 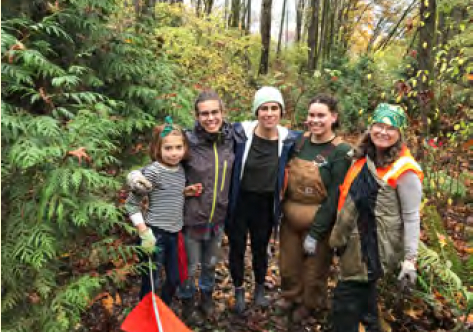 This report contains tree planting information and photos from Portland, Maltby, Vashon Island, Seattle and Victoria. Residents and community members from the Chicago MA Center responded to to the Plastic Challenge in a variety of ways, from recycling, to reusing plastic bags, to using alternative shopping bags, to using glass instead of plastic bottles, and many more source reduction strategies. There are plenty of awful things happening on the planet these days, like marine plastic pollution, greenhouse gases increasing, rainforest degradation, sea levels rising, extreme weather... the list unfortunately goes on and on. But at the same time, there are a lot of good people doing a lot of good things to help save the planet. Like news in general, good environmental news often goes unreported, or at least under-reported. 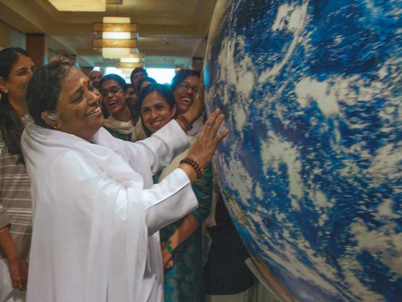 Amma was presented with the results of the Plastic Challenge in the form of a PowerPoint presentation while on the US tour. She had a very positive reaction when shown the plastic challenge results and was very happy it is happening. In India, trees have been regarded with deep respect and reverence for countless centuries. 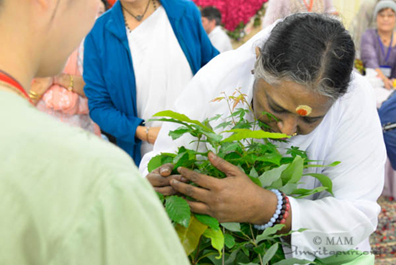 Amma has told us that in ancient times in India, people would perform a puja to worship trees. If there was a need to cut a tree down, or even before plucking its fruit or leaves, they would seek its permission and apologize. “More than remembering ‘God’, the people used to love and serve Nature and society. They saw the Creator through the creation. 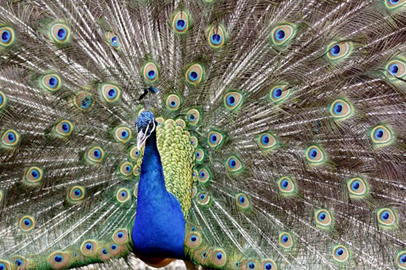 “They loved, worshipped and protected Nature as the visible form of God.” .